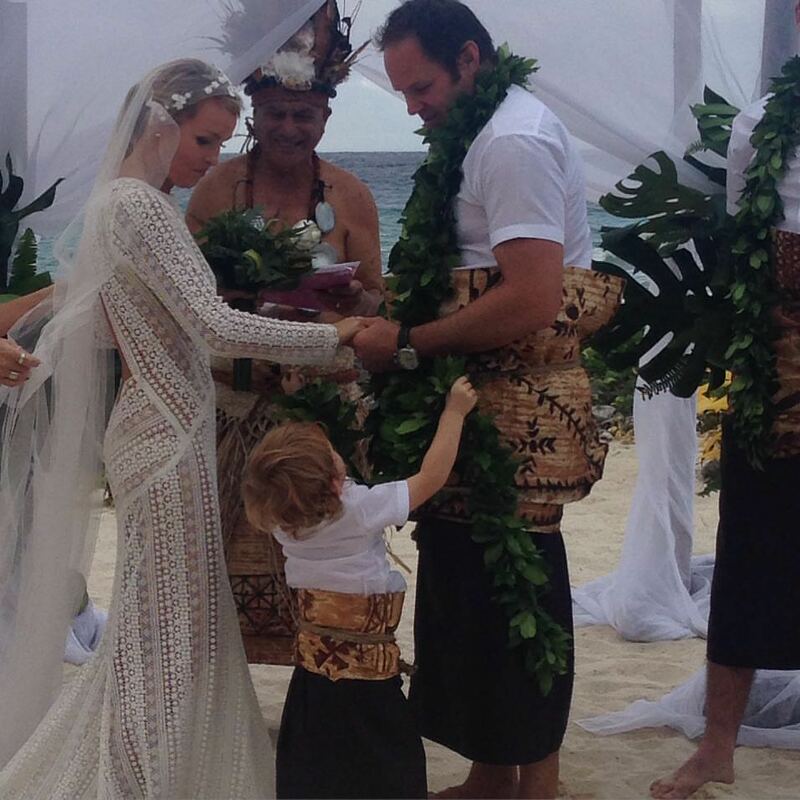 Former All Black Josh Kronfeld got married recently in Rarotonga. Check out his Bride’s lacey white wedding number! Designed by NZ designer Tanya Carlson it’s a showstopper – although I’m not sure just how many Bride’s could actually get away with this!!? The cutest thing about this pic is the little boy though! !